With the Leica Builder 209 9-Second Reflectorless Total Station, Leica has designed a perfectly tailored location tool for almost every construction job. Regardless of your profession, the Leica Builder Series Total Station will amazingly accelerate your work flow. From simple tasks to professional all-day use, the Builder Series offers a scalable product family that exactly meets your needs. 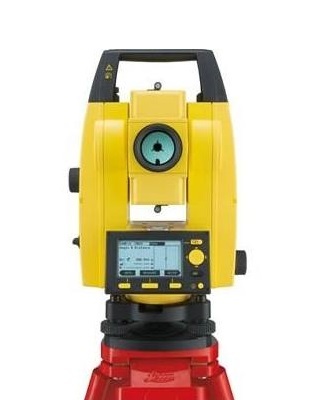 With a laser plummet for simple and fast setup over control line, dual axis compensation for accurate plumbing, endless drives eliminating steps, audible notice for 90° turns, graphical leveling aid and an IP55 rating, this is an outstanding theodolite.